Caspin Journeys - active travel at its best. Quality, small-group tours in Italy, England & Spain. Do you have a passion for the outdoors, history & art, love fine food & wine or all of these? Then you will find something here to interest you. What is included: 2 experienced guides with you 24/7; Transportation from meeting to departure point; Accommodations (with private bathroom) and buffet breakfasts; All meals including local wine and after dinner coffee; Gratuities for hotels meals and baggage; Entrance fees to museums, events and parks as listed on itinerary, Local specialist guiding fees. Not included: Air transport & postcards! Our travellers return to us many times and tell us each tour is an unforgettable experience and a trip of a lifetime not to miss! Most of our clients come from referrals and some of the articles in newspapers such as New York times, San Francisco Chronicle, San Diego, Portland Oregonian, Intern Travel News, Slow Travel, TripAdvisor, HomeAway have been written by them. 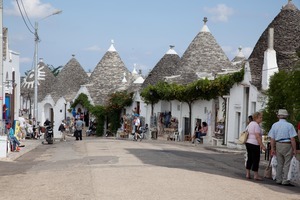 The tour of Puglia and Basilicata exceeded our expectations. We knew from prior tours with Caspin Journeys that it would be another great adventure. However, this one was extraordinaire from the villages and towns we visited to the very unique and posh hotel accommodations and incredible meals we enjoyed. The walks were gorgeous and vistas spectacular. It was yet another trip of a lifetime with two amazing tour professionals who excel at every aspect of what they do. We're already planning our next adventure with them! My mother and I traveled to beautiful Tuscany, Italy in Nov. 2016 to celebrate my 40th birthday. I was looking for an opportunity to learn what it FEELS like to live in Italy, rather than just see the sights (which ARE wonderful and amazing!). We booked the cooking/food tour with Caspin Journeys and I could not have been more pleased with my experience. We began each day of our Tuscan adventure in the beautiful Nobile guest house relaxing with great coffee and delicate pastries from a local bakery. Each day we were guided by either Pino or Antonio & Simona to new towns to view the architecture, hear the stories of old, and learn about the treasured foods and wines. We stopped for Cappuccino (only before noon!) and expresso in the afternoon. We dined in wonderful restaurants filled with the local people, trying something new every time. We would have a small respite upon coming home to the Nobile guest house. When Luca (our Master Chef) arrived, we could either enjoy watching him at work or dive right in to learn how to prepare some of Tuscany’s finest foods. These evenings were so fun while cooking, feasting, drinking great wine, and enjoying the company of the Nobile family. For the week I spent in Italy, I felt well-guided, indulged, enlightened, and most importantly welcomed by this great Italian family … it was a trip my mother and I will never forget! Pino & Caroline Nobile provide personalized high quality walking experiences. The planning that went into the Camino walk was obvious including the selection of walks, excellent hotel selection and amazing dining experiences. This was our 4th Caspin Journey's walk and lived up to the expected quality we have experienced previously. We look forward to our next Caspin Journey. Is Caspin Journeys LTD your company? Register to get access. You can get access to the Trips listed on TravelDragon, allowing you to add/edit your products. Register to get access if you'd like to add or edit Trips for Caspin Journeys LTD.